There have been a few instances where I wasn't able to track down a silk version of a specific flower that I need to fully recreate a bridal bouquet in silk flowers. In those instances, I found an awesome and true-to-the-design replacement with dried elements. 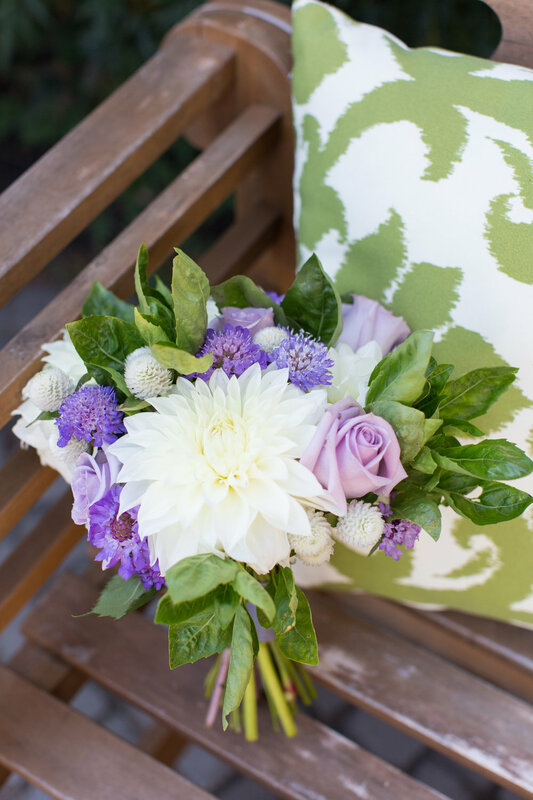 That was the case with Kyle's bridal bouquet recreation for his wife. She had this adorable bouquet that had the ever so unique Gomphrena throughout. I searched through my various suppliers and wasn't able to find what I needed so I turned to a dried flower vendor on Etsy. It was a great way to support another small business and bring this bouquet to life. The original bouquet was picked on a farm of whatever happened to be growing at the time. 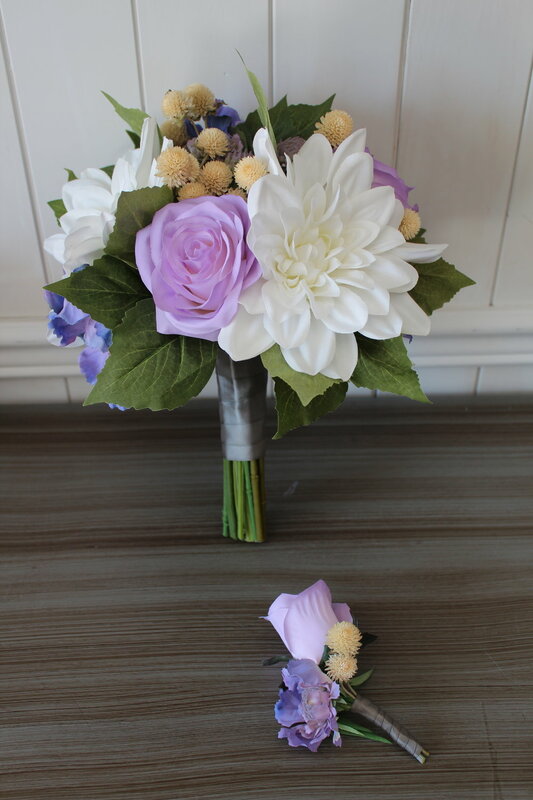 It included white Dahlias, Lavender Roses, Scabiosa, Gomphrena and greenery. Lovely! Brandon also wanted his boutonniere recreated. A lavender Rose, Scabiosa and a couple of those cute little Gomphrena and tied off with the same charcoal satin ribbon as was on the bridal bouquet recreation. Here's a photo of the original bouquet; awesome, right? Photo provided by: Laura's Focus Photography. If you are interested in a bridal bouquet recreation in silk flowers but know it might take a little something extra like dried elements, special embellishments or the like, contact me today for a free quote!